Influencer marketing is relatively new and the rules of engagement are still being defined. In the age of new media – blogging & social media – there are no established right and wrong way to reach your audience. Lets be clear, influencer marketing isn’t advertising. Advertising is very transactional – there is an ad, a slot and a placement. Its clean. Influencer marketing is not a transactional affair – or if it is, you as a sponsor should be concerned. If your influencers are only repeating what you have provided in your press releases, you’ve lost your value opportunity. The influencers who will really gain traction, trust and lead to sales are the writers who are honest and upfront about their own experiences with your product. Their objectivity is paramount to their readers and favorable reviews typically cannot be purchased. Influencers are seen as experts by their peers. As a marketer, you need to understand who influencers are, particularly in the information technology industry. The key to this style of marketing is real hands-on experiences from the influencer. The best way to get this type of experience is with demo units or trials of the product you want them to rep. As a marketer, you should be prepared that some influencers may not love your product and everything they have to say about the product may not be in-line with your desired message. You should also be prepared for this and view it as an opportunity to receive valuable critique and opinions that can be built into later revisions. Influencer marketing isn’t one-way communication like advertising – it is a two way conversation between the reviewer, their readers and your company. 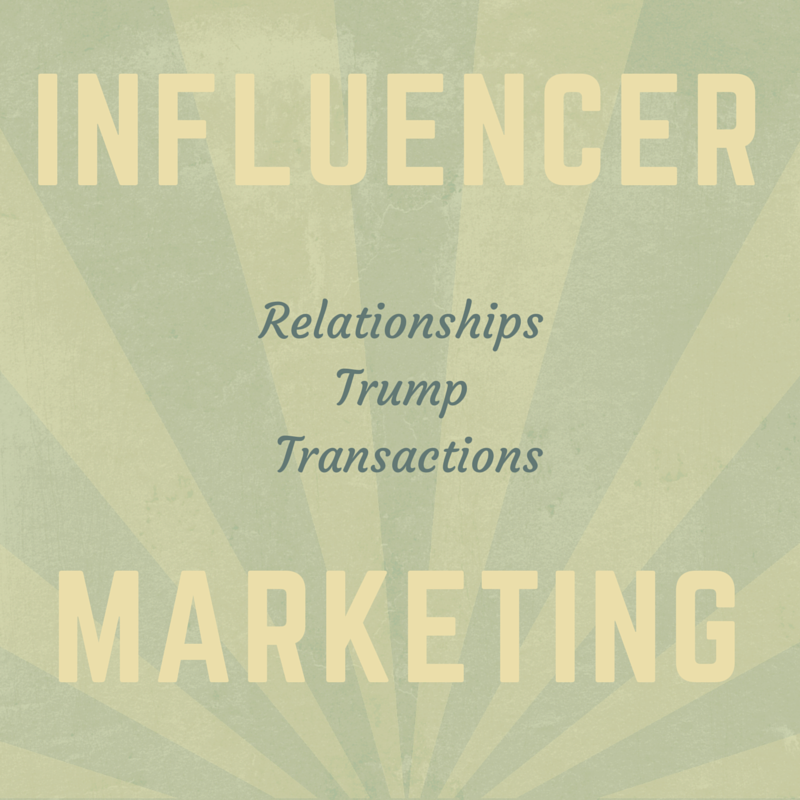 Even more than conversational, its building a relationship with the influencer. There is a give and take that must exist between the brand and influencer for the effort to be effective. The relationship requires this: providing something of value to the influencer so that they can develop and publish something of value for your brand. Influencers will ask the hard questions. They will point out potential flaws or vulnerabilities in your product. Influencers do this because they’re typically the people in the trenches, working daily with your products. Being the person in the trenches is part of the value that an influencer brings to the table. Influencers have established clout and expertise that others in the community look to and learn from. Smart readers try to learn from others mistakes or insights to avoid problems rather than experience them. While the audience may slant more towards the practitioners than the executive-level decision makers, you have to realize and remember that the practitioners are influencers in their own right within their own companies. These are the folks tasked with proof of concepts, trials and other evaluations and they are looking to the influencer community to help them make the most of their limited resources – like limited time to review demo units or which product to try onsite. In life, there is always a resource constraint – time, money, personnel or expertise. Influencer marketing is birthed from the real resource constraints. It is an medium that works because it augments the limitations every IT worker will face at times in their careers. This is one major way that the influencer is successful. The other is providing real-life value to others with how-to tutorials and best practices for readers. Once an influencer crosses over from a simple review to publishing how-to’s, they’ve become a brand advocate for you. These constraints extend to you as the marketer, too. Whether the number of demo units you have at your disposal or a limited amount of time to interact with influencers, the conversation is always making the most out of your limited resources. If you’re attempting to get influencers to respond to your product or service, you must be willing to work with them. Influencers want to experience the product, not just attend a webinar or get a press release. There is no substitute when it comes to real experiences. Most influencers are not for sale. Be cautious of the ones who are. They are not hired extensions of your staff who will tow a line and say what you want. Even influencers who become brand advocates for you will tell you when you have something that doesn’t add up or is risky for their implementations. They are individuals with perspectives and you must realize that most of the people you’ll encounter are doing this as a passion or calling and not simply to pay the bills. It is a two-edged sword, for sure, and there is much more risk as the marketer, but the reward can be much greater than simple ads.